Christopher Leona is a New York licensed physical therapist at Professional Physical Therapy. After graduating from Stony Brook University with bachelor’s in Health Science, Christopher went on to receive his doctorate in Physical therapy at Stony Brook University. Christopher has been practicing for 15 years and specializes in Orthopedics and joint replacements. Christopher has certifications in NSCA Certified Strength and Conditioning Specialist (CSCS), APTA Board Certified Clinical Specialist in Orthopedics(OCS), and CPR and AED certified and is also a member American Physical Therapy Association. Christopher Yan is a New York licensed physical therapist at Professional Physical Therapy. After graduating from Stony Brook University with a bachelor’s in Biology, Christopher went on to receive his doctorate in Physical Therapy at Marshall University. Christopher has been practicing for 1 year. Christopher has certifications in CPR First Aid Certification and AED Certification. Elizabeth Kalish is a New York licensed physical therapist at Professional Physical Therapy. After graduating from NYIT with a bachelor’s in Life Sciences, Elizabeth went on to receive her doctorate in Physical Therapy at NYIT. Elizabeth has been practicing for 3 years and specializes in Sports-related injuries and post-operative cases. 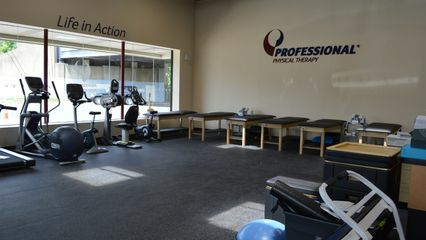 Elizabeth has certifications in ART full body certified, SFMA level I and is also a member of the APTA. Farrah Sharkey Goring is a New York licensed physical therapist at Professional Physical Therapy. After graduating from Temple University with a bachelor’s in Exercise Science and Dance, Farrah went on to receive her master’s in Physical Therapy at Columbia University. Farrah has been practicing for 17 years and specializes in Orthopedics, Sports injuries. Farrah has certifications in CSCS and OCS and is also a member of the APTA. Han Thu Cao is a New York licensed physical therapist at Professional Physical Therapy. After graduating from Polytechnic Institute at NYU with a bachelor’s in Mathematics, Han Thu went on to receive his Doctorate in Physical Therapy at Stony Brook University. Han Thu has been practicing for 2 years and specializes in Orthopedics. Han Thu is also a member of the APTA. Neil Moss is a NYS licensed Physical Therapist at Professional Physical Therapy. After graduating from St. John's University with a Bachelor's degree in Sports Management, Neil went on to receive his Doctorate in Physical Therapy at the New York Institute of Technology. Neil has been with Professional Physical Therapy since its conception, starting as a patient, then as a Physical Therapist aide and then as PT/Co-Director of our flagship facility in Bayside, Queens. In 2013, Neil became a Partner with Professional, and currently serves as the Regional Clinical Director of Queens/ Long Island. Let's go Mets! Samantha Hernandez is a New York licensed physical therapist at Professional Physical Therapy. After graduating from University of the Sciences in Philadelphia with Bachelor of Health Science, Samantha went on to receive her Doctorate of Physical Therapy at University of the Sciences in Philadelphia. Samantha has been practicing for 2 years and specializes in Orthopedics. Samantha has certifications in Clinical Instructor and is also a member of the APTA. Samantha Sabatino-Bodo is a New York licensed physical therapist at Professional Physical Therapy. After graduating from Florida Southern College with Bachelor’s of Science in Athletic Training, Samantha went on to receive her doctorate in Physical Therapy at Stony Brook University. Samantha has been practicing for 3 years and specializes in Orthopedics. Samantha has certifications in Athletic Training and is also a member of NATA and the APTA. Stephanie Lescouflair is a New York licensed physical therapist at Professional Physical Therapy. After graduating from Quinnipiac University with bachelor’s in Health Science, Stephanie went on to receive her doctorate in Physical Therapy at Quinnipiac University. Stephanie has been practicing for under a year and specializes in cervical and lumbar spine. Stephanie is also a member of the APTA.